للمسافرين الذين يرغبون أن يعيشو كل ما تقدمه هوبارت, Motel Mayfair on Cavell هو الخيار الأمثل. يمكن من هنا للضيوف الاستمتاع بسهولة الوصول إلى كل ما تقدمه هذه المدينة النابضة بالحياة. يضفي محيط الفندق اللطيف وقربه من آيلند سايكل تورز, ‪St Mary's Cathedral‬, Miss Blackbird سحراً خاصاً على هذا الفندق. إن الخدمات الممتازة وحسن الضيافة العالي في Motel Mayfair on Cavell تجعل إقامتك تجربة لا تنسى. يمكن لضيوف الفندق الاستمتاع بالميزات التالية على أرض الفندق: مرافق مخصصة لذوي الاحتياجات الخاصة, تسجيل وصول/خروج سريع, تخزين الأمتعة, واي فاي في المناطق العامة, صف السيارات . تتضمن كل غرف النزلاء وسائل الراحة والتسلية المصممة خصيصاً لضمان الراحة القصوى للضيوف. يقدم الفندق خدمات رائعة كمثل حديقة لمساعدتك على الاسترخاء بعد نهار طويل من النشاط والتجوال في المدينة. إن كنت تتطلع إلى إقامة مريحة وهادئة في هوبارت، فستجد في Motel Mayfair on Cavell بيتك الثاني. Private house with almost full equipment for a family of 8 person. Although some old facility, but it does not trouble our stay. Staff are kind and fantastic. We did enjoyed our stay and will come back if we should have chance. Thank you Agoda Team. I stayed 2 nights at the Mayfair. The location is not too far from the center and I found it very pleasant, quiet and safe. We could park the car inside though place is somehow limited. The rooms are large. The staff is very friendly and immediately provided support as the hair dryer was not working. It is definitely a great value for money in Hobart and I can only warmly recommend it. Family owned this place sits just at the edge of the CBD overlooking Hobart. 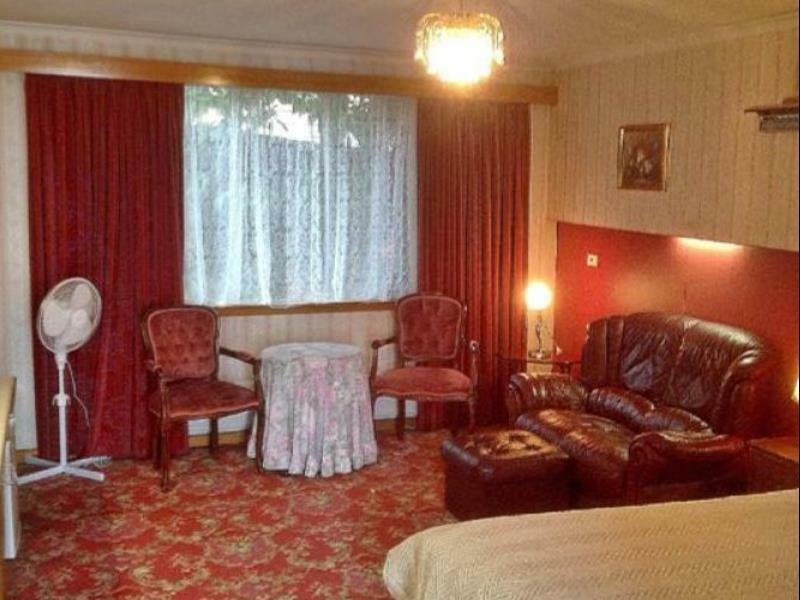 The decor is retro but facilities are excellent - comfortable bed, spacious rooms and bathroom. The fact that it is in a large plot of land makes for easy parking, without having to worry where to park later. 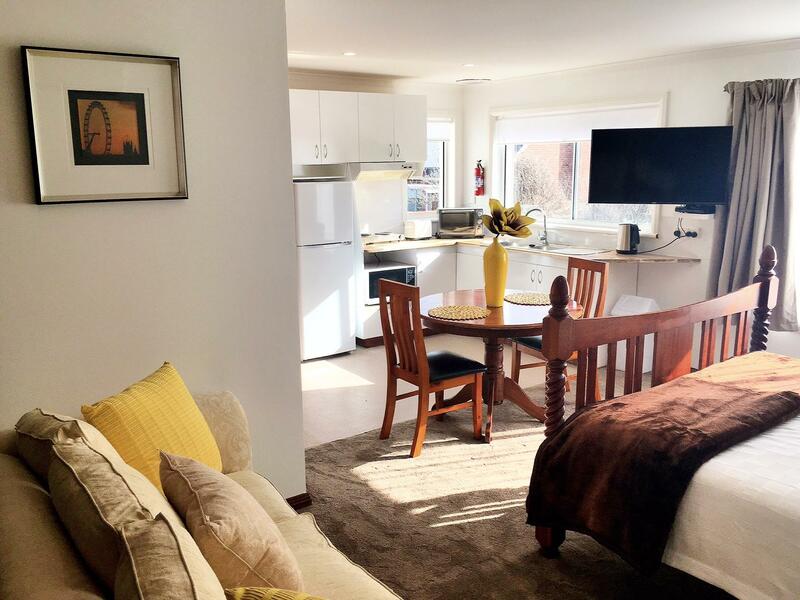 Salamanca and the wharf are only 15 minutes walk away, making this a good base if you only plan to stay in Hobart (the city for a day or two) before driving around the Tasman Peninsula, Huon Valley or the Southwest National Park. The room was a bit tired and musty but very clean and had under floor heating. The curtains were great at blocking out light (needed for our baby's naps!). Room has a microwave but no toaster. Restaurants nearby will deliver, but there is an upmarket pub a short walk away. Could not walk into the CBD or Salamanca as the hotel is on the top of a huge hill and we had a baby with us. We got a deal on agoda. I would not have paid the full room rate. Overall happy with the stay. Our first stay in a std room was lovely, with old world charm of the hotel fittings taking you back in time. So good, we came back again & stayed in a family room and were blown away at the size of the room! Michael and staff make you welcome & feel like family from the first Hello. Nothing is too much trouble for them. Would & have recommended the Mayfair on Cavell!! Very clean and everything you need. This motel is very nice and clean with everything you need in a hotel room. The staff were very nice and helpful. The location is close to the city center. it takes about 15 minutes to walk in. It is a down hill walk that is reasonably steep. Easy to get a taxi anyway. Did not eat there so cannot comment. However we were offered free use of crockery and cutlery if we wanted to bring food back to the room. This place was truly a great stay. 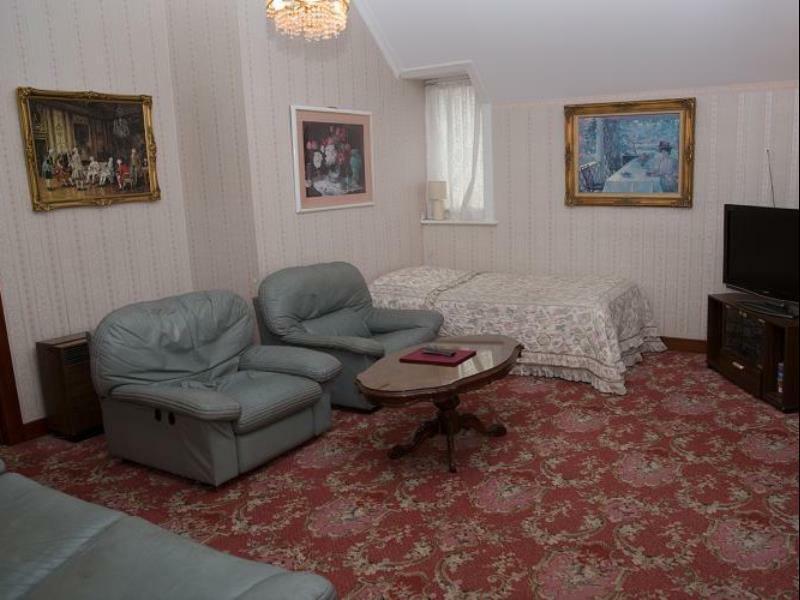 Lovely room in the big house featured classical carpet and wallpaper and long velvet drapes. Comfortable beds, spacious. Great view over the river and easibly accesible to town and all main roads. Was a nice motel in a very nice spot in hobart, very close to the city and Salamanca markets. The rooms are nice enough, very old fashioned, but was all we needed with large rooms and a nice bathroom. There are also some restaurant menus provided that deliver to the motel if you don't want to go out. very convenient for walking into the city. friendly staff. just five minutes walk from an excellent supermarket/ post office just with a very good supply of fruit, veg and hot pies! there is also a hotel/bottle shop for the thirsty traveller. a straight walk brought us to the sandy bay beach were errol flynn spent his childhood. the site had ample parking and was situated at a point where it was easy to navigate in and out of the cities grid pattern of roads. 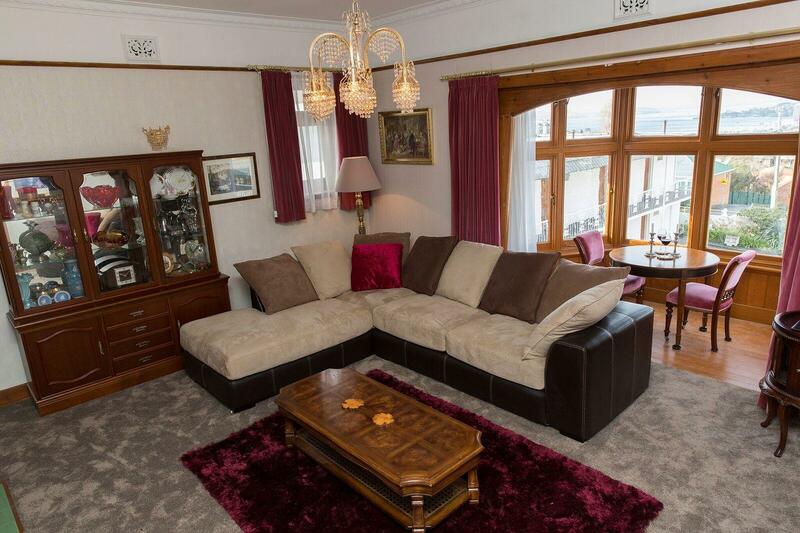 this hotel is high on a hill in west hobart, it is an easy walk to town but you need a taxi back to the hotel. the food at the hotel is at a very high standard. the staff at this hotel are friendly and always willing to help with infomation on local tours and things to do. I found the hotel to be the idea location close to the city and a great restaurant around the corner that had amazing service and pizzas! The staff were also very helpful and always cheerful. The room was very spacious and clean. I would recommend it for a short or long stay. Clean, generous sized room with double and single beds. Fresh milk for tea provided. Friendly and obliging staff. The bedroom and bathroom were very clean and the unit catered for tea/ coffee making and had a microwave and small fridge. Although the decor was dated, the beds were very comfortable with plenty of spare blankets. There is off-road parking and it is in a relatively quiet area. Good value for money and will return. The hotel is easy to find. It is only a couple minutes drive from the City. However, it is a bit noisy when there are cars coming into the parking lots. We also heard noise from other rooms which got party. The room is big and spacious. The electricity supply was very unstable. There were ants inside the bathroom. On the night of visit, the weather wasn't good. Windows were blown noisy by wind. 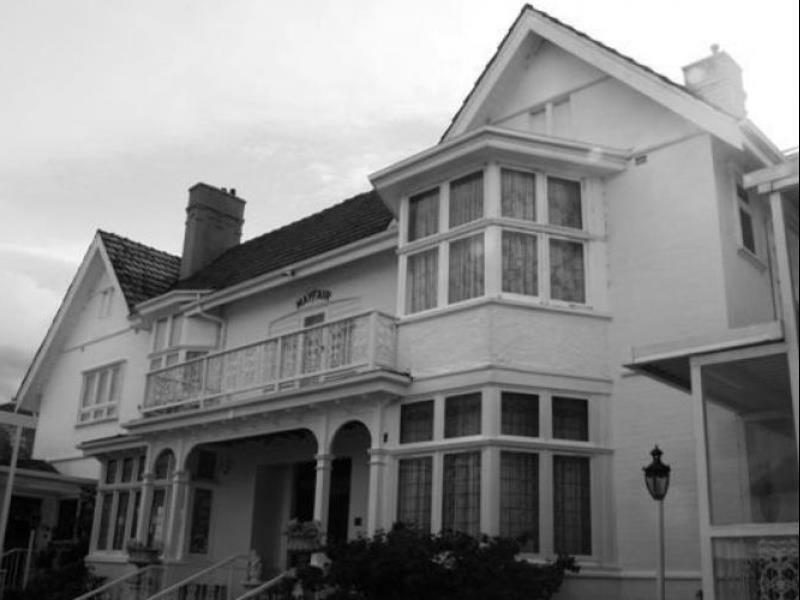 It made us feel like living in a haunted mansion. Comfortable & feel good about it! We really like this hotel. the hotel room is spacious and completed with extendable sofa chairs, king size bed with unique paintings anywhere. Feel very comfortable, lovely and sweet. The location of the hotel also is on the uphill with beautiful scenery. We really love this hotel. we stayed in the apartment and it was very spacious. as the weather wasn't perfect staying in for the day was enjoyable. plenty of movies to choose from. the staff were very helpful even with movie selection. there were acurate directions and information given about the surrounding restaurants etc. the rooms were well kept and clean we enjoyed our short stay and my 9 year didn't want to leave. The room was clean, but the furniture are dated. We had a room at ground floor. The reception closed after 8 pm. We could not find a heater and it was cold and we were at a lost on where to seek help. The Queen size bed has electric blanket but one of the side is not working despite the switch was on and There is a large ancient looking machine at the side of the room but there was no label or instructions to identify the purpose of its existence. Overall, the stay is still all right. Thanks for staying with us. We appreciate your feedback. Yes, the new owner has scheduled the refurbishment in this winter, and all the facilities will be upgraded.